Reiwa might be drawing near, but there’s still a bit of juice left in the Heisei Era (1989-2019) for brands to squeeze out in order to sell some goods. 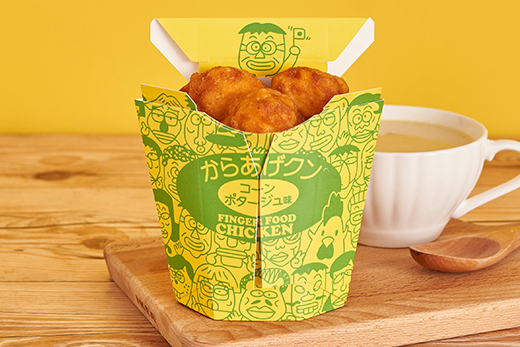 Lawson is leading this last gasp by reviving an old version of their signature Kara-age Kun line of fried chicken. The chain has brought back flavors that were available back near the start of the era, and they come packaged in a throwback container, too. 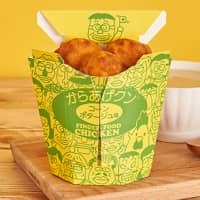 The limited-edition snacks (¥216 with tax) start with the currently available corn pottage variety, to be followed by a seaweed and salt version (¥268 with tax) arriving April 23. Let’s focus on the corn potage chicken for now then. Some Heisei specials have been big misses — Koikeya’s retro seaweed and salt chips being particularly bad — but this is the type of deep-fried nostalgia that’s easy to get behind. The corn taste is subtle and works well with the warm chicken — everything is in balance. It’s a nice, tasty way to say farewell to Heisei.